Product owners often struggle with involving executives in product development. Convincing a decision maker about additional staff or budget can be hard when he/she doesn’t really understand the project. In addition, non-technical stakeholders don’t have a high-level view of the project. Poor communication and a lack of shared understanding lead to a failed project. Follow us in this article to learn an easy-to-adapt technique for involving executives in the product backlog. Previously, I wrote about how to involve customers in product development. The solution for sharing the backlog with executives is almost the same. The “user story mapping” method is for them, too. Moreover, learning the process is tremendously easy. They don’t need to read books about product development or agile product ownership. If you’re new to user story mapping you can learn the method in five easy steps here. User story mapping is an agile process, in which you can visualize product goals, user steps and journeys and tasks in a clear layout. All these pieces of information can be represented as sticky notes on the office wall. Nonetheless, you’d better use an online solution in this case. The method is super-easy to take in – it’s a visual aid for executives without technical knowledge about backlogs. Thanks to the clear layout, it is easy to communicate dependencies and relationships among the items. Managing the user story map online lets the decision makers open the board any time and anywhere. They don’t need to go to your office, and you don’t need to explain the backlog personally. Moreover, they can leave thoughts or questions in the comments section. Sticky notes provide short and concise information about the product items. They keep the technical detail away from the non-technical reader. Filling the back side of a user story adds additional content about the element. For example: “definition of done”, attachments, mockups, screenshots, etc. What could a story map tell an executive? 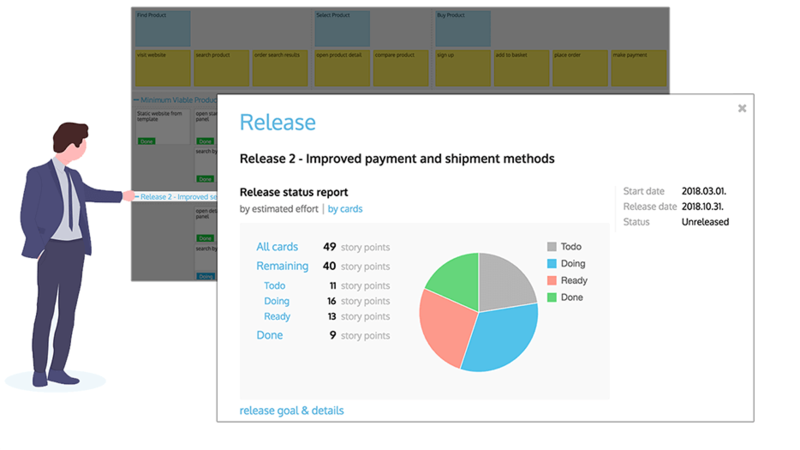 When involving the executive in product backlog, you should onboard him/her in the story map. Discuss the top-level cards which could express user goals or epics. Then revise the narrative flow on the second level. The first two levels – as the product backbone – give a nice high-level overview of the project. There is one more crucial part of a story map, the releases. Releases point to iterations, which means product versions or agile sprints. No matter how you use releases, they’re a visual representation expressing schedule. Make sure to add explanation about the iteration goals, deadline. You can do this by filling out the release details, and in addition, you can add an annotation. I collected top notch, proven methods for taking communication to the next level. To get more hints for powerful user story mapping you can take a look at our eBook, where all the useful hints have been collected. Product backlog is not just for user stories. You can insert additional cards with vital information dedicated to non-technical viewers. It’s a proper way to keep notes away from technical descriptions such as specifications. One of the most common ways to support understanding is to highlight release goals and outcomes in the first section. Another well-known usage of the annotations is to explain abbreviations. In other words, as tags or visual aids to support reading the map. To boost the backlog’s visuality, even more, you can use different colors. 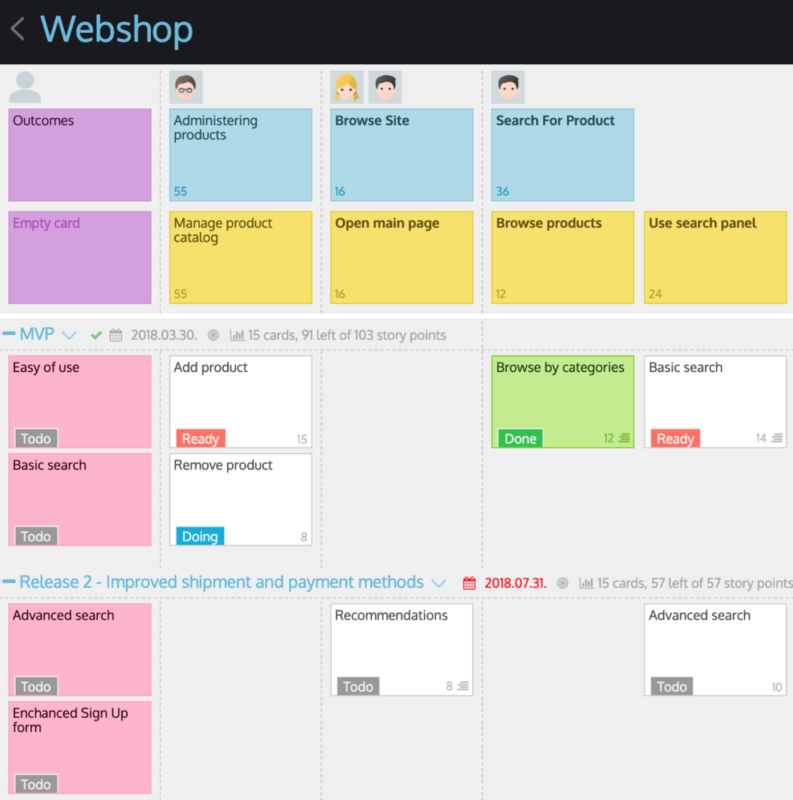 It works on the office wall by using different sticky notes, and you can set different colors in StoriesOnBoard too. You can improve Hint No 1. by highlighting annotations with different colors. Different colors work well when you insert annotations among user stories. The next great opportunity for improving readability when multiple teams are working on the same project is coloring user stories by teams. You can mark user stories with different colors when they need to be discussed with a decision maker. An executive may wish to keep an eye on the target audience. Product users are strongly related to product decisions. Would you confirm an epic or user story? 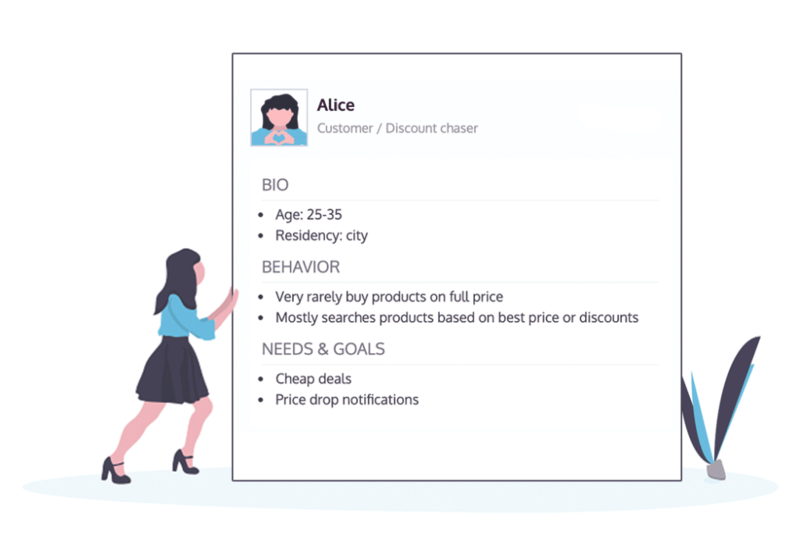 Assign user personas to the user story map to express relationship between tasks and target audience. Story mapping at the office wall works adequately in most cases. On the other hand, there is one thing that an online tool handles a thousand times better – the status of the development process. 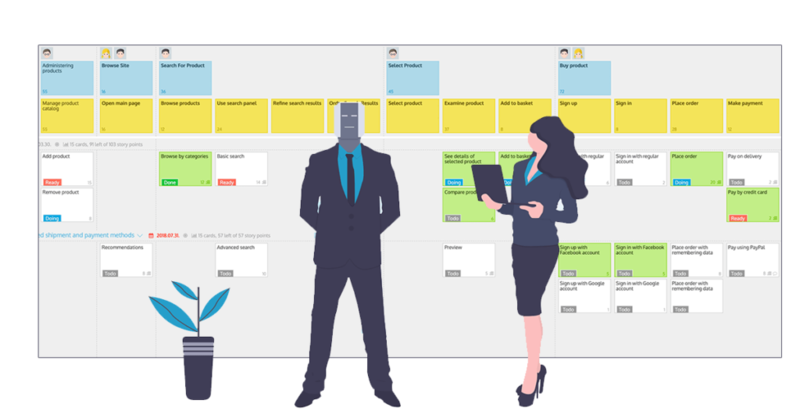 You can set the status for each user story manually, moreover, after integrating the story map to your project management tool, status will be updated in real time. Why is this good for an executive? Because of tracking the current iteration. In addition, using the status reports, they can visualize progression and you can leave time-wasting report writing behind. After a fruitful product discovery fills the user story map is full of good ideas. Don’t cut off valuable thoughts and product upgrade opportunities. Group and estimate all the user stories and discuss them with executives. All the estimated but unscheduled releases are product upgrade opportunities, which are perfect starting points for up-selling. Executives will simply love it when they are equipped with such opportunities. On the other hand, when it’s about the company’s software, then these releases support the inner releases. It’s the easiest way to explain how a new release idea fits the project and the main benefits of implementing it. Just make sure to write compelling release descriptions. Changing a proven workflow can be annoying. User story mapping is an easy-to-learn planning method for all developers and non-technical staff. There are several ways to support the team’s brainstorming skills which leads to better planning. Thanks to the resulting shared understanding the dev team can connect the product vision to daily tasks. Moreover, StoriesOnBoard is integrated with the most used project management tools, such as JIRA, Trello, Azure DevOps (VSTS), GitHub, and Pivotal Tracker. Don’t be afraid of importing a running project. You can import a JIRA or Azure DevOps project with just a few clicks with full structure sync. After setting up the integration all the project details will be updated in real-time. To sum up, user story mapping is not only for product developer teams. It offers a perfect solution for communication issues among product owners and non-technical stakeholders. 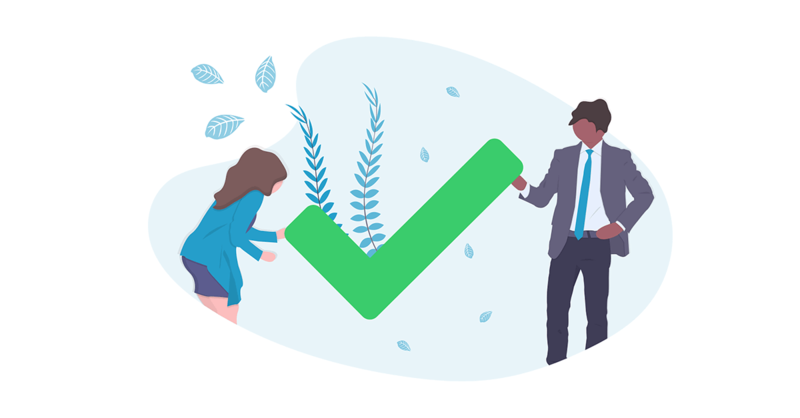 Involving executives in product backlog helps them to understand the project vision and to track the current iteration.